Some meals are just made for a meat free Monday and this is one of them. Freshly milled spices, gently cooked in coconut cream. Such a great tasting curry. 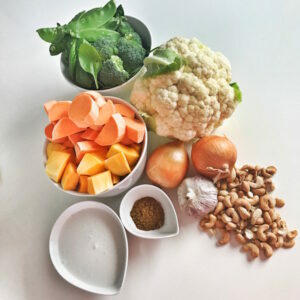 Vegetables, salad leaves, garlic, onion, coconut cream and cashews.